Everyone likes to make a quick buck and wants to make money from home. So it comes as no real surprise that there are thousands of websites out there which can show you a million-plus way to make money online or side hustle. But it’s pretty easy to see after searching through many make money from home websites they aren’t legit. In fact a majority of them aren’t. Most of them are crap. 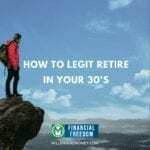 If they aren’t trying to sell you something that is supposed to ‘reveal’ the secrets of making quick money, you are expected to answer all kinds of intrusive questions so they can sell you a bunch of products. Or they follow you around with re-marketing ads trying to get you to sign up for their $2,000 course. Thankfully there are quite a few legitimate ways these days to earn quick money sitting within the comfort of one’s own home. You also don’t need to pick just one. Many of the best ways to make money from home you can do together and diversify your income streams. 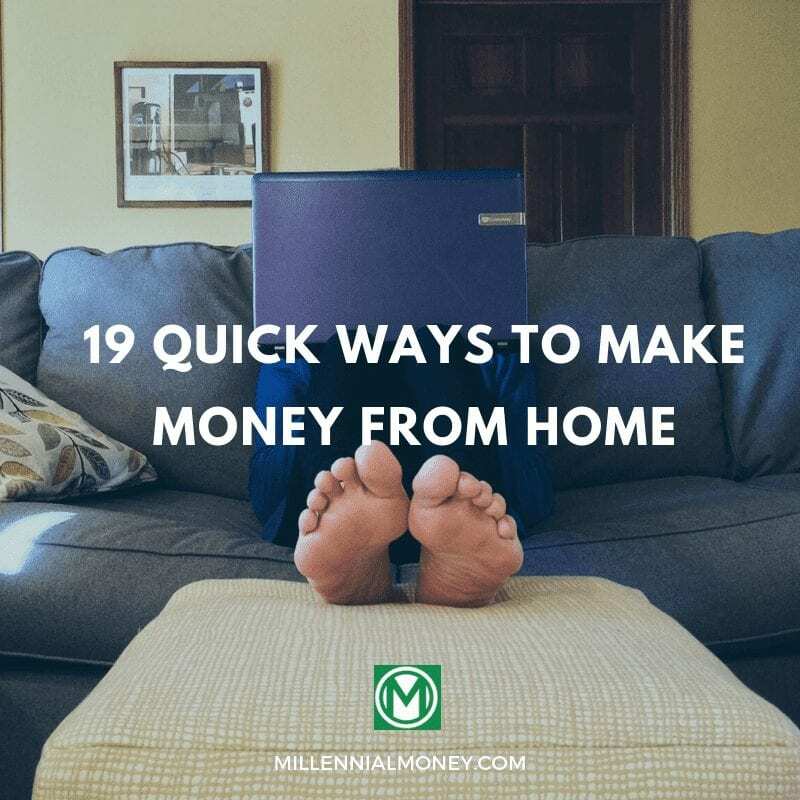 Here’s a list of 19 tried-and-tested ways you can make some quick cash without stepping out of your house. 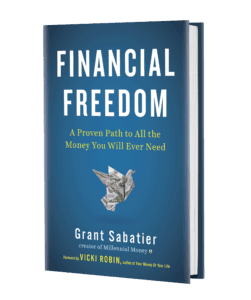 Mind you, you won’t become an overnight millionaire by trying any of these, but they will surely put some handy extra cash in your wallet and help you towards financial freedom. This is hands down the easiest way to to make money online and make money from home. I’m not saying it’s easy to grow a blog by any means, but blogging is a proven path to making money online and many of my friends make at least $2,000 per month and others make a lot more. Last year alone I made over $400,000 from this blog. Here’s how much money bloggers make. While you can literally blog about anything, I recommend you pick a topic that you enjoy so you’ll stick with it. Another nice thing about blogging is that you can do it in addition to many of the other ways to make money from home. If you’d like to learn more check out my step by step guide on how to start a blog and subscribe to my free 7 Day Blogging email side hustle course. While many online survey companies are completely crap, you can make some pretty easy money working from home. The best survey sites are hands down Survey Junkie, Swagbucks, and My Points. It’s pretty easy to spend a couple hours a week taking online surveys and make a few hundred extra dollars. I recommend scheduling some time every week when you sit down and do online surveys as another way to make money from home. While they definitely aren’t for everyone, taking surveys is an easy way to make money and worth testing out. Some people really love doing it. Heard of Airbnb? Sure you have. It’s the popular online global marketplace that leases/rents short-term lodgings for people who need them. Here’s a previous profile of my friend Jerry who at $10k in profit a month shows how making money with Airbnb is so easy. Now think about that spare room in your apartment/home that you don’t really use. Why not list it on Airbnb and make hundreds and even thousands of dollars in the process. If you have a spare house, even better. Just remember to clean it up nicely first – get it painted if you have to. Stock it with all the things you would expect in a hotel room – toiletries, towels, soap and clean curtains – before listing it online. Now all you need to do is await your first guests, play the good host to the hilt and watch the dollars fly into your bank account. Unlike offline teaching jobs, this one doesn’t always require you to have a teaching degree or even teaching experience for that matter. Yet you can still make some decent money by tutoring online with sites like SmartThinking and Skooli. It’s a great side gig for a regular full-time job. What’s more the timing is quite flexible, and you can choose from morning, evening or even weekend slots and the payout is pretty strong– with some seasoned pros making as much as $21 for every 40-minute class. It can also be a great way to test out whether you like tutoring and you could eventually turn it into an offline way to make money from home as well. Well, to be honest, transcriptions have been around for years. However recent years have seen a noticeable spike in the number of online sites hawking transcription services at bottom dollar rates with a quick turnaround times. Those who have never done it before could check out transcription jobs on sites like TranscribeMe and/or Rev.com and you don’t even need to have prior experience. Payment rates are based purely on quality and timely delivery, which means the more audio files you can convert into accurate text – the more money you will make. Some Millennial Money readers love doing transcriptions. Do you have a digital camera that you rarely use, or a seldom-used sports bike catching dust in your garage? Did you know they can still make you some serious cash? All you need to do is rent them out to people who need them, but can’t afford to buy them. The fun part of this deal is that you can rent out anything that you don’t use much – from your kitchen oven to the chainsaw in your shed. Yup, just about anything – that works. There are several online marketplaces like Sailo (if you have a sailboat you would like to rent out) and KitSplit (for that digicam you no longer use), which can help you rent out your stuff and make some money in the bargain. Most people love pets – but they also have to work hard to make a living. So where does that leave their pets when they have to go to work? This is where you come in. If you have a fairly large house, you can start a pet sitting service which means you look after the pets when their owners leave for work or have some other engagement to take care off. You could begin by gathering some intel on the local pet care companies in your area to see what they offer and take it from there. Dog walking is another service you could include in your portfolio to make even more money. Some of the best website to check out to make money from home pet sitting are Rover, Wag, and Dog Vacay. Yes, that’s right. 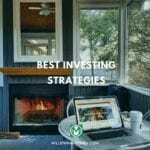 There are ways to earn money by simply investing the spare change lying around your home from one of your frequent shopping trips or your visit to the nearest grocery store. For example, an app called Acorns enables you to do just that – invest that loose change just lying around. Stockpile is another popular micro-investment site that offers a similar service. What’s more, there is an extra $5 bonus for you if you sign-up. Ok, a word of caution here. You have to be great with kids if you want to go ahead with this one. Many parents find daycare costs prohibitively expensive – and with good reason. You could offer them a much cheaper alternative – by agreeing to look after a couple of kids at your place, for a small fee of course. If you have kids of your own – even better. They can keep each other occupied and entertained even as you tend to your chores while keeping a cursory eye out for them. And that’s not all. You also stand to make another $5 for every friend of yours who signs-up with them and links a verified card. Do you fancy your photography skills and want to make money from it? Well, you can courtesy this new app called Foap. First, you need to download the app from the App Store or Google Play and sign up for an account. Next, start clicking marketable pictures or videos using your Android or IoS device and simply upload them on Foap’s marketplace. Each time someone buys your content – you get half the cash. So if someone buys a picture or a video from your online portfolio for $20 – you to keep a cool $10. Sweet deal, right? The only catch? Your content should be good enough to impress the folks over at Foap, so those cute pics you upload on Instagram or FB – just won’t make the cut. Do you have a skill that can make you some money? Sure, we all do – if we put our mind to it. It could be anything – cooking, writing, baking, sewing or even party-planning. You could think about starting a small home-based business around any of these talents (or one of your own) to make some extra cash. There are specific sites that target such home entrepreneurs and help them set up their business online. There are hundreds of ways to make money online, but this one is one of the more tried-and-tested ways. Give it a go – you just might make it happen, you never know. There is a market for pretty much everything out there, and your clothes are no exception. There are several online sites (ThredUp, Poshmark, The RealReal) that will pay you cash for your new/barely-used clothes in good condition. So if you’ve been thinking about cleaning out your closet – now is as good a time as any – to get rid of that old cocktail you never wore, the slacks that went out of style five years ago and that bright orange sweater, your ol’ Uncle Bob gifted you – which you secretly hated. Now isn’t this a great way to not only rid your home of all your unwanted clothing but also make some decent cash in the bargain? Do you have a way with words and can edit a document in minutes? Or perhaps you’re a bathroom singer with a baritone that would make Elvis Presley envious? If so, it’s time to bring your secret talent out of the closet and make some money from it. It could be anything – graphic design, writing & editing, singing, cooking or even painting – the list is endless. There are online platforms like Task Rabbit, Fiverr and Thumbtack where you can sell your skills to the highest bidder and rake in the cash. If you haven’t thought about this option – it’s high time you did. As the term suggests, this option involves selling the products of reputed companies directly (for a healthy commission) to people you know and members of your social circle. There is no dearth of companies or products) to choose from either – Avon, Tupperware, Mary Kay and Amway – are some of the famous names that come to mind immediately. You could also choose to become a direct seller for a company/cause that you actually support. For example, become a direct seller of a renowned pet food brand – because you love animals. Posting videos on YouTube is a fun activity for most, but did you know you could make some serious money by starting your own YouTube channel. You could begin by simply showcasing a special talent of yours (acting, dancing, singing, juggling), start a travelogue – if you have a fetish for visiting new places or review the latest gizmos – if you’re a gadget geek. Once you get people hooked to your stuff, apply for Google AdSense approval to monetize your content. If you start getting serious numbers consistently, there are even more ways to make money which you can easily find online. For those of you who thought that a cellphone could only be used to talk, click pictures, listen to music or browse the internet – think again. It can also be used to earn some easy money doing practically nothing or at the most stuff that you do pretty much every day as it is. Yup, I am serious. There are several online apps out there who would be more than willing to pay you hard cash to just do your thing – listening to music, taking a jog, watching videos, eating out and even just snapping pictures of all your shopping receipts. Want to know more. Checkout – Ibotta, eBates, MyPoints, Receipt Hog, Pact and Viggle – and you will know what we are talking about. There are several major companies which are always on the lookout for professionals to join as work-from-home customer service representatives to promote their products and services. The job is flexible in terms of working hours, and you can earn good money too. All you need is access to a computer/laptop and a reliable, a high-speed internet connection and a quiet corner of your home to work from. Finding the right customer service rep jobs is also quite simple, and you can easily find the apt one for you by logging onto sites like Alpine Access, Indeed and even Alorica at Home. 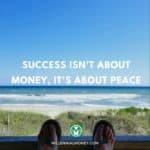 There is more than one way to make money from home with this one. If you own a car, you could think about starting a food delivery service and getting paid to deliver food and grocery to people’s homes. Or you could simply rent it out to people who need one by listing it on sites like GetAround and Turo. You could also use it to give car driving lessons to people in your neighbourhood who want to learn how to drive. But if you’d rather be the man behind the wheel yourself, you can still make some pretty useful extra cash by driving for popular aggregator cab services like Uber and Lyft – in your free time. The money is decent and varies between $20-40 per hour, depending on the city and time of day you choose to drive. Chances are you might have heard (and even tried) online cashback sites like Ebates, for example. But how about getting your money back for in-store purchases made by you. Believe it or not, it’s possible, courtesy a newer app called Dosh that does just that. All you need to do is link your credit/debit cards, and every time you use them, this App will get you up to 10 per cent back in your Dosh wallet. As the saying goes – a dollar saved is a dollar earned. So there you have it Nineteen great ways to make money online and offline – without being scammed, robbed or conned. So go right ahead and take your pick. It just might change your life forever.